Fueled by an active community, the semi-professional and amateur sports scene in Whatcom County is booming. Local teams are always contenders for their league’s titles, making for a fun and exciting viewing experience for fans. Some local teams also feature some former standout athletes who attended high school or college in the area, so fans can continue to follow their careers. The teams also partner with local businesses to offer locally sourced food and beverages in most cases. Some teams even feature local tryouts, so even you could be the next Whatcom County resident wowing fans on the field, pitch, ice or track. 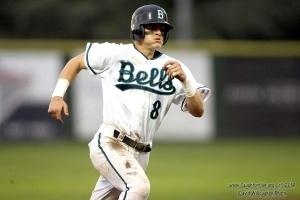 The Bells play in the West Coast League: a summer, college, wood-bat league for up-and-coming college baseball players. The WCL season runs from early June to late August, with Bells home games being played at the newly renovated Joe Martin Field. In 2014, the Bells won their first WCL Championship with a 2-1 series win over Corvallis. team. You can see the Bulldogs in action from mid-April to late June at Civic Stadium. The Bulldogs also offer a youth camp and cheerleading. 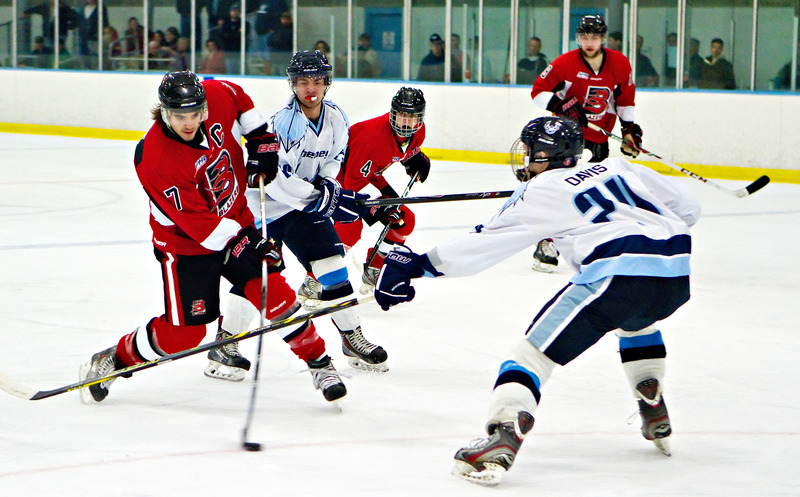 The Blazers play in the Northern Pacific Hockey League, an American Tier III Junior Hockey League. Since joining the NPHL in 2012, the Blazers have won two NPHL titles. They play at the Bellingham Sportsplex from mid-September to early April and games are often played on Friday or Saturday nights. 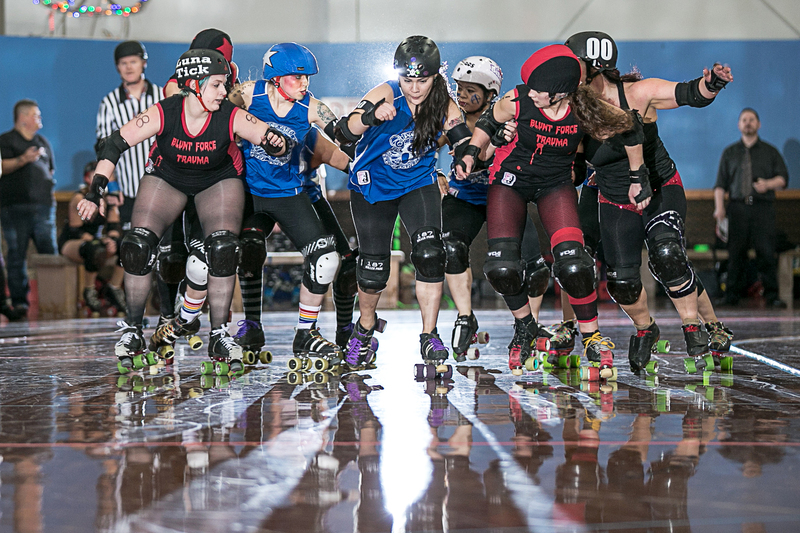 Bellingham Roller betties. BFTvs.WaveofMutilation (c) Kim Lincoln Photography. Association, an international roller derby league, the Betties season begins in late January and goes to late June. Chuckanut Bay Rugby is made up of seven youth teams and a men’s and a women’s team. It is part of USA Rugby, the Pacific Northwest Rugby Football Union and the British Columbia Rugby Union. The teams play home games in Ferndale, and admission is always free. Chuckanut Bay also hosts a Can/Ams 7’s Tournament every second Saturday in July. plays in the Evergreen Premier League Washington, of which it is a founding member. 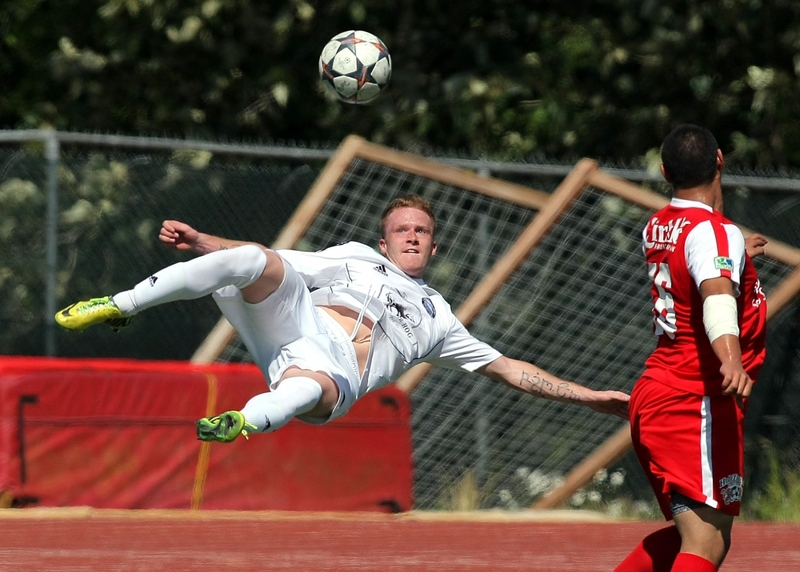 The EPLWA season runs from mid-April to late-July, and United plays its home games at Civic Stadium. Bellingham United FC often fields current and former local college players.